There's a killer on the loose in the Luthra mansion who is after Preeta. Will she succeed in her plan? 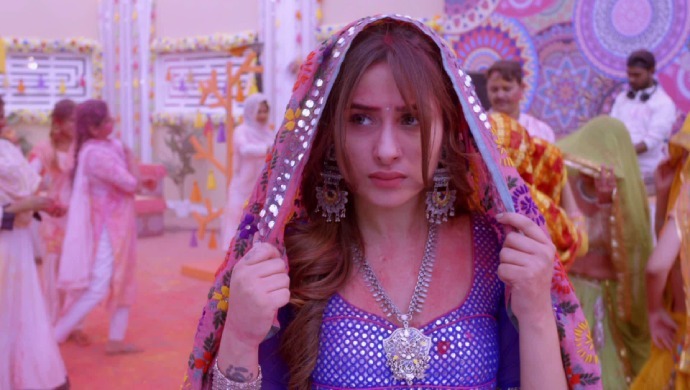 In tonight’s episode of Kundali Bhagya, Karan comes closer to Preeta during Holi. Shrishti and Biji are hoping that Karan will soon propose to Preeta. Meanwhile, Sherlyn tries becoming a part of the family she is planning to get married into while Prithvi enters the Luthra’s Holi party only to play Holi with Preeta. The murderer who escaped from prison has now entered the Luthra mansion for the Holi party. She plans to making it a bloody Holi by murdering Preeta and Rishabh. Meanwhile, Sherlyn meets Chachiji for the first time and the sharp tongued and observant Chachi immediately notices that she is pregnant. Shrishti tries to get Karan drunk to make him spill out his feelings towards Preeta. Will her plan to bring Karan and Preeta together succeed? Will Preeta be able to save her life from the murderer? Stay tuned for more updates.